58 Posts Categorized "ds106 Class Notes and Stuff"
Writing about teaching the greatest open course on the interwebs. Just so my students who start ds106 starting tomorrow know who they are dealing with! There is still time to drop, ha ha. 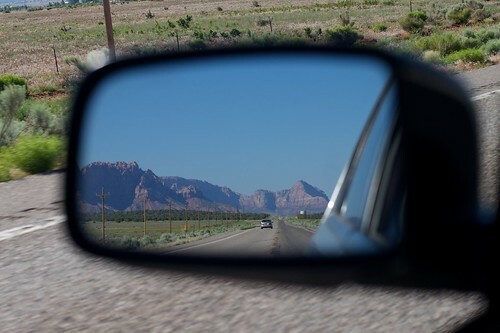 I had plans to write up some reflections on the past semester of ds106; this is part 1 of a series, in the next one I hope to look out the front windshield to some ideas for the next iteration of the class I am teaching at UMW starting January 14. Final Projects – this can give future students ideas on how to do (or not do) projects. Best Of – each student was asked to keep a blog category for their favorite creations – and I hope some of you will consider using this as a source of things to nominate for the ds106 in[SPIRE] site. Advice to Future Studens created in any media they chose, video, audio, graphics – I rely on this as intro material for next semester. I laugh at how many of them strongly urge future students to not wait until the last minute to do their week’s work. This was the most highly functioning groups of students I have had this year. I saw more than a few of them really pick up the level of writing to be more than reporting “this is my assignment” but where they were thinking and reflecting on it. I’m going to sprinkle a few quotes from them as this post grows legs. And my last bit of advice, start early. Start early on the assignments and start early asking for help. The professors are more than helpful and have lightning fast responses compared to all those other dull professors you’ve had. Don’t fall behind, because as I’m finding out, from week one until week sixteen, it all builds off what you learn. And if you learn a lot, and understand what you’re doing, the assignments will be a lot easier and you won’t stay up all night trying to get your URL in by the deadline. Plus, start early on your summary. A good summary should take 45 mins ““ 1 hour to type up. That way you can explain what you did and why you did it. Take my advice and you will prevent hacking away at DS106 for hours and hours on Sunday and wishing you weren’t so stressed. First, I cannto say enough about parallel teaching with Martha Burtis; last summer we co-taught the Camp Magic Macguffin iteration of ds106. This past semester we each had our own section, but collaboratively planned each week so we were doing the same assignments- doing this while I was bopping around the country. We tried each week to publish a video review of the week’s work, our Tuesday Videos. We did these as one off ad-lib videos via Google Hangouts, used solely to record and publish the videos. Sometimes they went live within 5 minutes of ending the sessions. The other big change (another Brilliant Idea from Martha) was our use of an LMS. Yes, we used Canvas– as a gradebook. The way we graded in the past was a large cumulative grading at the end, based on some general outline of percentages. The students never really knew where they stood. The new wrinkle was that each week students had to blog their weekly summaries, and that was a URL they would enter in the Canvas gradebook as a record of what they did that week.